Hey, buddy! Have you seen this new bingo? I bet that you can’t leave it in your later life. Yes, I believe you are not strange about bingo game. Nowadays, it’s the most popular recreation activity in Europe and America. Brand new gameplay, delicate graphics, various unique tools as well as over thousand levels, it is definitely exciting and funning! -Refined image quality, smooth lines, soft color, and unique character model make the whole feel relaxing and pleasant. -It’s definitely beautiful and feasts your eyes. -Free big wheel and various free tools every day. -100 worlds, nearly 1,000 levels. New world, and new surprise. -Rich tools give you more choices. -Refined and delicate graphics, comfortable and soft color, will give you endless relaxing and pleasure. -Over 100 worlds, nearly 1,000 levels. Each world has different gameplay. 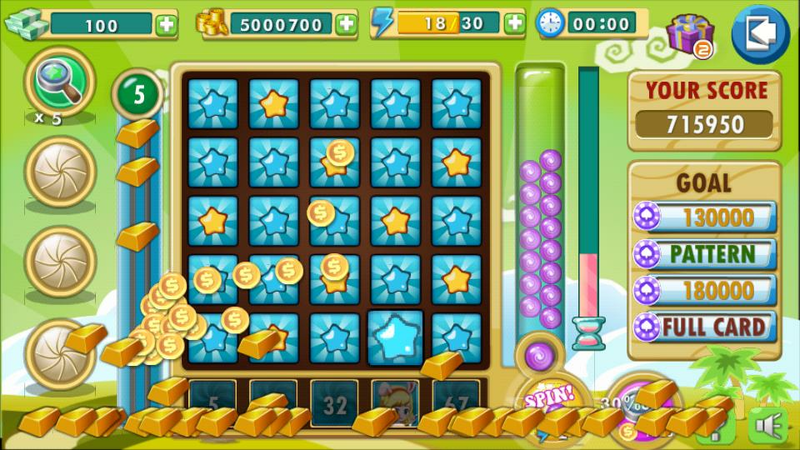 -Rich tools and more choices make you easy to pass the level. 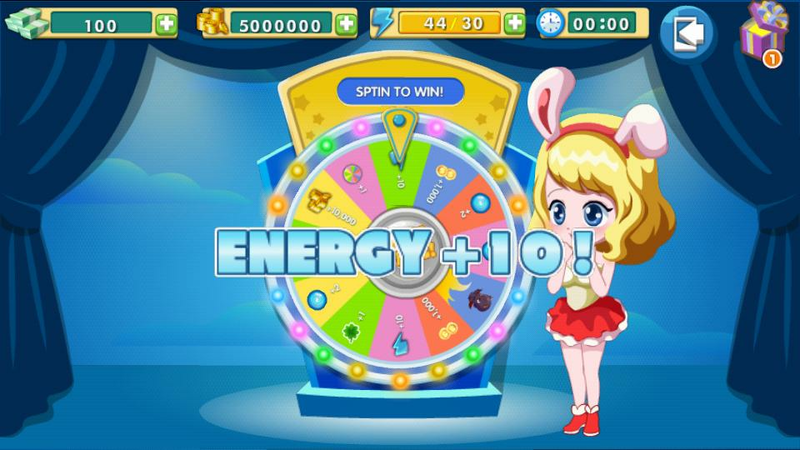 -Everyday lucky big wheel and free tools are crazily sent to you. Don’t miss such a good opportunity! 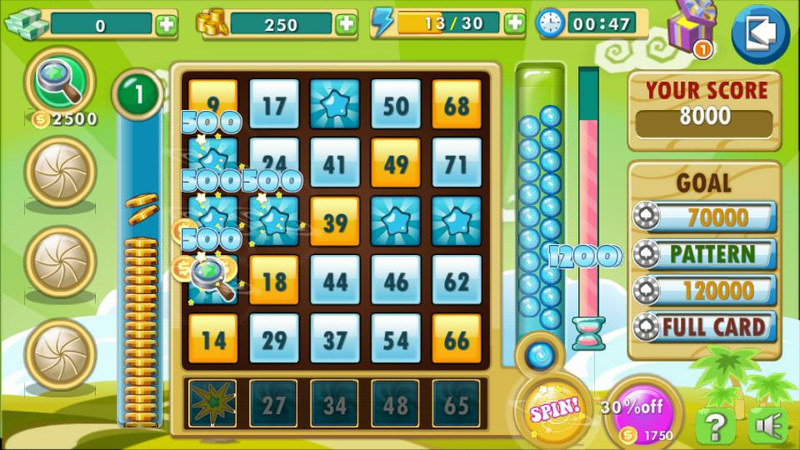 -Once spin shakes 7 numbers at most, you choose corresponding number in the column and win high scores. -Click to use left-side tools to make game more relaxing.